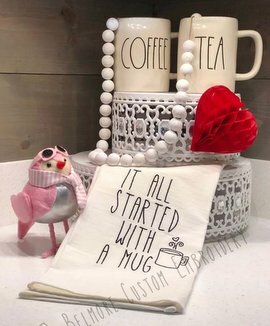 It All Started with a Mug. Custom Embroidered Hats and Ball Caps. Blue Ball Cap with US flag sandwich bill. 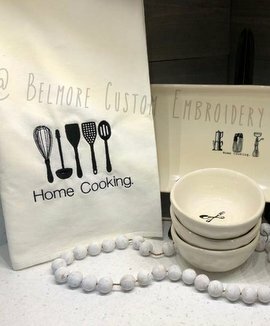 Belmore Custom Embroidery provides highly personalized custom embroidery. 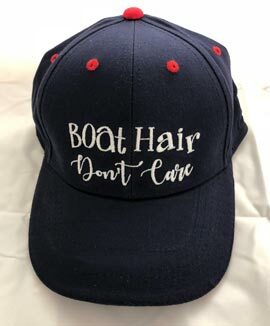 We specialize in adding your name, boat name, club name, etc. to almost every product that we sell. We offer a wide variety of products and make those available to individuals, members of your club, team or other organization. This makes it easy to order personalized, club or logo embroidered apparel . 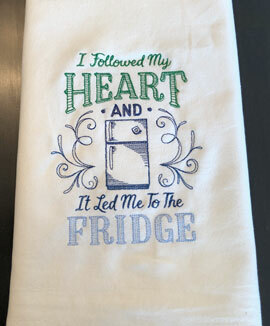 We also offer custom designed and personalized embroidery. Please feel free to browse our catalog and let us know if you find something you love. We accept single item orders as well as those for large teams. 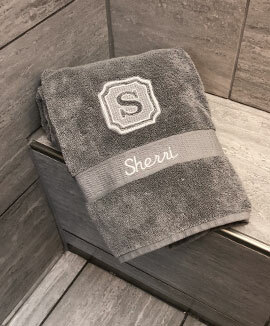 Custom Personalized Embroidery of shirts, hats, bags, towels, etc. Digitizing and design of new or existing logos and artwork. Long Letter embroidery that is Inspired by Rae Dunn. Browse our catalog of available items. Order your personalized Club logo-wear here. Long Letter embroidery inspired by Rae Dunn. 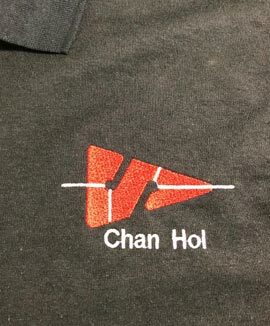 You can submit the contact form below, call us at 360-545-3871 or email us directly by clicking: info "at" belmoreembroidery.com . 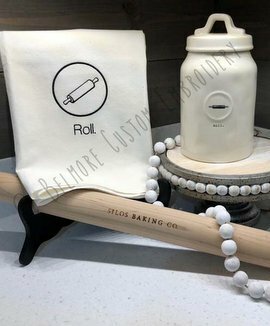 We are a Mom and Pop, custom embroidery shop that specializes in small orders and personalized custom designs. We pride ourselves on our customer service and high quality products. Let us know what you want, and we will make it happen! We primarily server the Pacific Northwest, but ship throughout the United States. Our new 10 needle embroidery machine has arrived, allowing us to embroider designs as large as 14" by 14"! 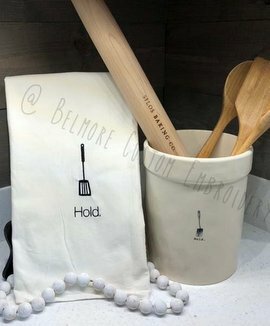 Belmore Custom Embroidery specializes in personalized designs and service to create unique items that represent your personality and life. We try to make this easy, affordable and fun. Please call 360-545-3871 with any questions and let us show you what we can do.